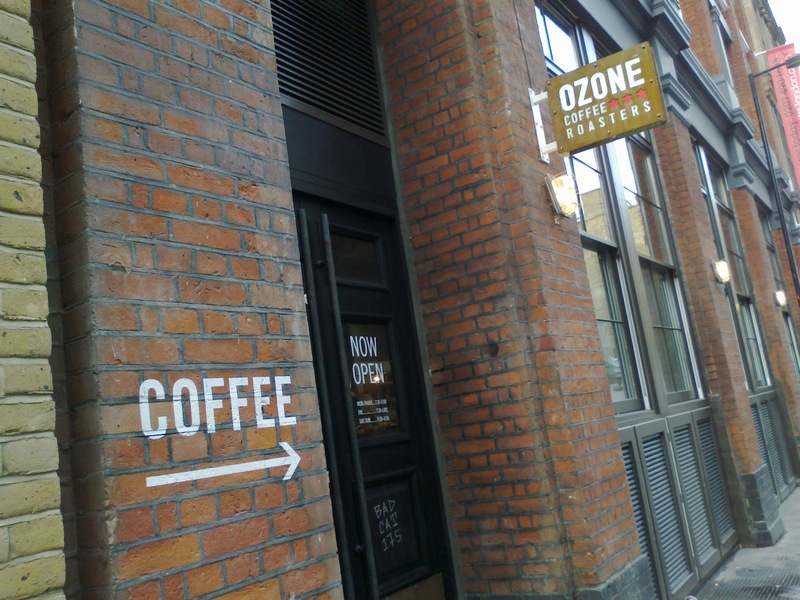 The Find: Walk away from that darn awful roundabout at Old Street and sneakily positioned down a side street lies Ozone Coffee - a cafe, roastery and training/cupping room. Originally from a small city in New Zealand, Ozone Coffee have brought their coffee flair and brewing excellence across the world to tempt the London folk. This place is hu-mon-gous, space is certainly not an issue. The cafe upstairs features a mixture of booth type seating and window-side bar stools. The space downstairs is impressive to say the least (go down there and have a look) The design throughout is industrial chic - no expense spared. The coffee bar has an array of lovely treats from sarnies to brownies, muffins and stacks of nougat, all tempting stuff. The staff are attentive and full of friendly banter which makes for an informal and friendly place. Water is brought to you in vintage bottles (top marks) and coffee's are delivered with style. 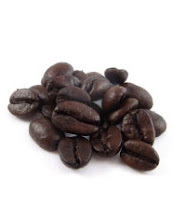 The coffee is roasted in-house - and although on the dark side of roasting it is delicious. As expected the baristas are top notch, ask them what they'd recommend and they'll fix you up with something special. The toilets are an experience in themselves - you know, roomy cubicles with nice products, big mirrors and wooden panels. Even featuring the old-fash type of loo where you pull a chain to flush, ooo what fun. Walk down Leonard Street and look for the brick wall with the arrow. You've found your place. 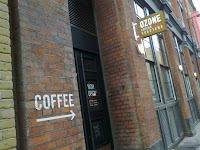 Ozone, welcome to London, we hope you're here to stay!